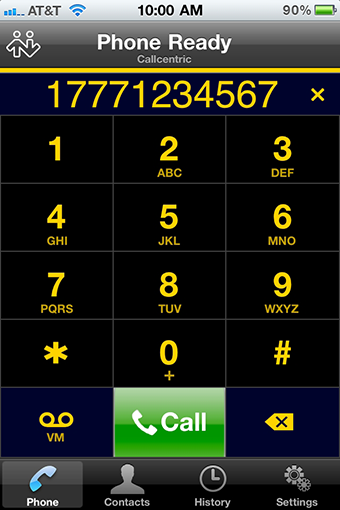 This guide will assist you with the general steps needed to configure the CounterPath Bria iPhone Edition softphone app. This guide is based on version 1.2.12 build 7099 of the Bria softphone and we cannot fully guarantee 100% compatibility with all future releases. This guide is only provided for those who wish to experiment, and potentially use, this software. Ideally you will want to use a wifi connection with these features, instead of a 3G connection. If used over 3G/EDGE then depending on carrier and service plan used, you may be billed for your data usage. 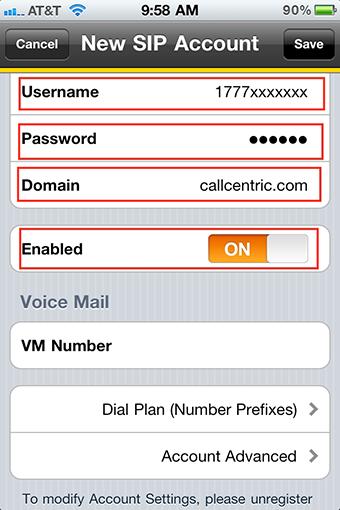 If using the PUSH feature in Bria then your username and password will be transmitted to CounterPath systems. 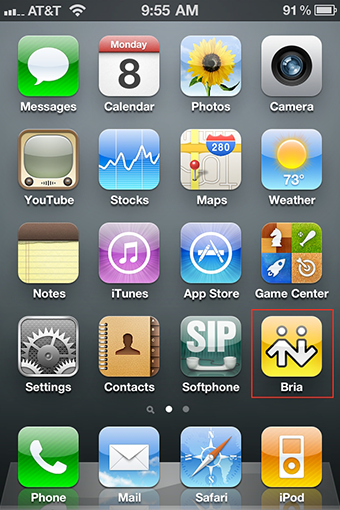 Open the Bria iPhone Edition softphone app by clicking on the Bria softphone icon with your iPhone user interface. 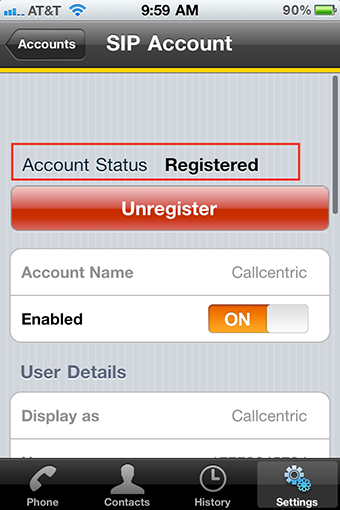 After starting the app you will see that 'no accounts' are configured within the softphone. 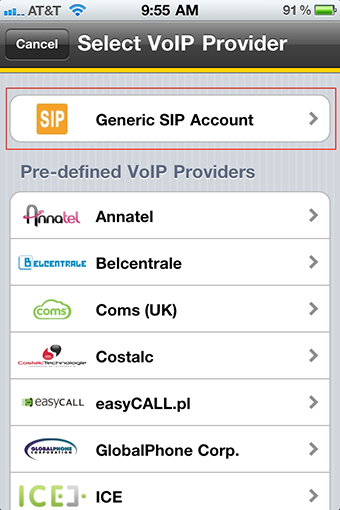 Click on the Generic SIP Account button. Enable account by clicking the slider from OFF to ON. You should then see that the account status is Registered.